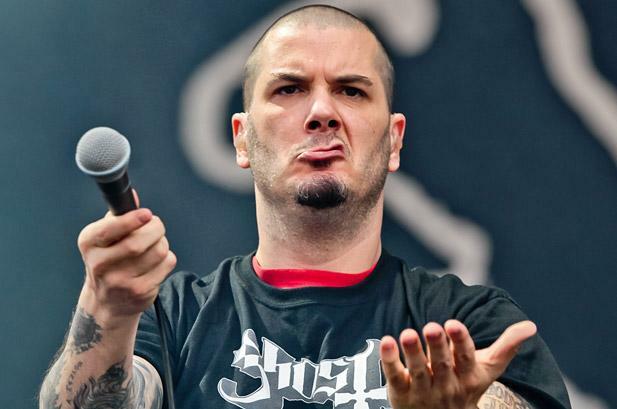 Death Metal Underground: Phil Anselmo Forms New Extreme Metal "Supergroup"
Hey Daniel, is it this Animosity ? These dudes were a great yet short lived speed metal band. One of those lost gems. I’m not clicking that link but it’s the deathcore animosity. Don’t misunderstand me: Of course when one reviews bad music, one should be honest about the music being bad. And “bash” it accordingly. But this man hasn’t even done anything yet. So this, to me, feels like laughing at a retard. Every one knows that his intelligence is low, but there’s no need to rub it in his face. Hey Phil’s description of blackened pop rock wasn’t dumb. The real hate is on the corebros who actually wrote the music. I can’t bring myself to hate people for expressing themselves through music. I don’t like what they’re expressing, and I think that they do it crudely… but my instinct is to just leave them alone and let them have their fun. Other simple minded people (musically, not necessarily otherwise) can listen to it and enjoy it, too. They can have their music, and we can have our music. The only problem is when people try to label their music some thing that it is not. For example: Deafheaven are welcome to do their thing, and people who like it are welcome to listen to it. But they are not allowed to call it black metal. I don’t know what genre or style Pantera is, as I have not heard much of their music, but I am certain that I would not like it, so my example applies to them. And probably to this new band. I also dislike Deafheaven much more than I dislike Pantera. Pantera at least has some elements of metal, and it may even be worthy of the name Metal. Not good metal, but at the very least metal. The reason is that what the music expresses is closer to metal than what Deafheaven’s music does express. It is aggressive and undiplomatic, rather than whiney and pandering. I just found out that Pantera started out as a glam metal band, and then changed their image drastically. That doesn’t just happen naturally. I think that they were posers and sell outs, designing music to sell well, rather than genuinely trying to express some thing. I have no respect for that. Garbage. I believe they changed drastically, like in a matter of months and had made their glam records unavailable to hide their glamsexuality. I listened to some Pantera for a few minutes, because I realized that I may have been typing ignorant nonsense. It’s not quality research, but it will do for now. My conclusion is that Pantera may be somewhere in between rock and metal. It may very well not be pure metal. Because while it is “aggressive” and “undiplomatic”, the music simply expresses those concepts at a basic level. It does not express the malevolence which leads to aggression, or the mentality which leads to being undiplomatic. The difference between a feeling, and an objective thing which naturally causes that feeling in humans, is significant. Good metal deals with the latter. Mediocre rock deals with the former.